A.I. Alex of It’s a small world, writing makes it bigger won the January 2nd Aether Prompt with her submission about giants and vampires! Amber roamed the giants’ palace and found it abandoned. There was not a sound other than her footsteps. Her whispers were just a note too high before intense shaking began. It shook her off her feet and made her sword slip out of her hand into a pile of decaying monster corpses. The sun was rising and she knew she’d be trapped there until sundown, lest her skin would burn and her soul evaporate. 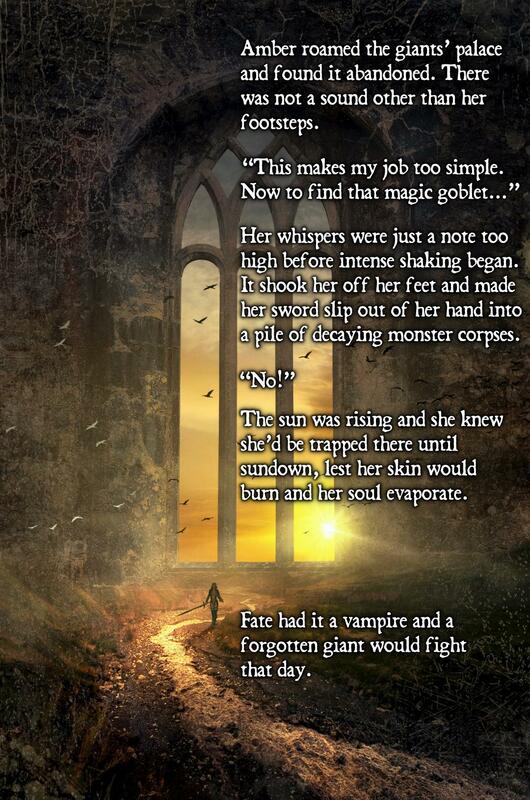 Fate had it a vampire and a forgotten giant would fight that day. Congratulations! Now you’re in the running for the 2019 AETHEREAL ENGINEER WRITER SUPPORT PRIZE PACKAGE! How might she, or possibly you, perchance win such fabled treasure as this? Take a look at my weekly Aether Prompts and find out!